In the Nirav Modi case, a single rogue employee’s actions have threatened to wipe out more than a quarter of Punjab National Bank (PNB) shareholders’ equity. This incident follows other similar international scandals in which Nick Leeson brought down Barings Bank, and Hamanaka caused significant losses to Sumitomo, both in 1995. This brings up the question whether such occurrences can be prevented or at least minimised with a long-term solution rather than simply a quick fix. Enterprise Risk Management (ERM) is designed to minimise the likelihood of such occurrences. The state of the art is to use ERM for risk management and the three-lines-of-defence model for risk governance. Worldwide, financial institutions such as banks and insurance companies have implemented risk governance and are continuously improving their practice of it. India trails behind international best practices in risk governance by almost a decade. Before ERM, companies relied on Traditional Risk Management (TRM) where each department or project head used to manage the risk in their own areas of operation. Organisations were unaware of their risks in a holistic manner. In 2004 the Committee of Sponsoring Organizations (COSO, a group of US-based academic and practitioners’ organisations concerned with financials and assurance) introduced an ERM framework. Under this framework, the board of directors plays a key role in setting and overseeing the risk governance infrastructure, ERM policy, and risk appetite statement, and management executes it. Risk appetite sets the amount and type of risk a company is willing to take to meet its strategic objectives. A set of risk-mitigation and reporting processes support the execution of the adopted policy. The three-lines-of-defence model is a structure for risk governance where front line staff represents the first line, board and risk professionals such as chief risk officers (CRO) are the second line, and auditors the third. The first line of defence is responsible for managing their activities within the bounds of the risk policies and frameworks set by the board, and reporting risk events and emerging risks. The second line of defence oversees risk management. The CRO’s office ensures that risk limits are followed and reported. The board sets the risk policy by specifying the types and degree of risk that the company is willing to accept. It sets and enforces clear lines of responsibility and accountability. The third line of defence consists of auditors who provide independent assurance that risk governance is working as it should. Risk culture ties together the three lines and reflects their collective beliefs, values, and attitudes towards risk based on their shared understanding of the organisation’s ERM policy. Indian regulations too require risk governance. Financial institutions such as banks and insurance companies are required to form risk management committees of their boards, and have a risk governance infrastructure such as an ERM policy and risk appetite statements. However, the P.J. Nayak Committee on banking reforms found that Indian bank boards spend hardly any time on strategic matters such as risk management. It quotes one example in which the board spent as much time on the taxi fare reimbursement policy as on NPA recovery. With a lack of leadership from the top, it is not surprising to find a poor risk culture and the occurrence of incidents such as Nirav Modi’s. In our research on risk governance, we find that even in advanced countries a regulatory nudge is generally necessary for financial institutions to adopt risk governance seriously. It is common worldwide, especially on complicated issues like risk management that are difficult to do well, that companies comply in form rather than substance. Regulatory skills and expertise therefore determine whether companies comply in substance or merely in form. After the global financial crisis of 2007-08, risk became a major issue for regulators worldwide. They attributed the crisis to excessive risk taking and a lack of risk disclosure, and levied heavy penalties. Year 2013 was the most disastrous year in terms of penalties for financial institutions. In the U.K., the Financial Services Authority (FSA) was split into the Prudential Regulation Authority (PRA) and Financial Conduct Authority (FCA). Regulators such as the FCA have moved from regulating not just conduct but also culture. The latter cannot be measured, but with expertise in doing so it can be managed. FCA’s focus on culture required an increased focus on changing the systems and process within companies to integrate new regulatory requirements. One large and mature British insurance company we studied already had all the elements of the risk governance infrastructure in place, and yet found that it was not meeting FCA’s high expectation on risk culture. It took up the challenge of enhancing the risk culture and was able to do so by developing a cognitive risk culture—one where people across all three lines of defence understand risks well, and also their responsibilities in relation to those risks. The change was accomplished by creating a cadre of first-line staff called risk champions who are not risk experts; rather they are front-line staff working partly with the risk function and given an extra role of creating risk awareness in the organisation. The risk champions helped improve communication between the first and second lines of defence. The company also developed IT tools to better communicate risks throughout the organisation. The improved communication resulted in the development of a cognitive risk culture. The regulatory push therefore led to an improvement even in one of the largest and most respected companies. Our learning from this case is that regulators can make a difference even to well-managed companies. Company executives and boards can make a difference by adopting the spirit of continuous improvement. Indian banks need to align risk culture with the three lines of defence model not just in form but also in spirit, so that risk becomes a part of day to day decision-making rather than a year-end audit or compliance activity. To this end, India needs board members and senior executives of financial institutions to develop the skills and expertise that would put them on par with the best globally. To shape risk governance in banks, the Indian banking regulator, RBI, needs to act as a supervisor to guide, nurture and improve the current standard of risk governance. To do so, the RBI must develop expertise and keep up with global best practices. Sustaining economic growth requires nothing less. Indian PSU’s such as Life Insurance Corporation (LIC) is no doubt a better half of Indian Insurance Industry with total assets of USD 340 billion. Following the leaders from China, Germany, and France (ranked 1st, 2nd and 3rd in Forbes list of Global Insurers), LIC is ranked among top 50 global insurance companies though still unlisted in a global stock exchange where almost all large insurance companies are listed. On the other side, there are several worse halves in Indian financial industry. Post 2007-2008 crisis, bad NPAs in banking and insurance frauds have pushed the liquidity position in Indian financial industry and raised the debates over the inefficiency of PSUs. Almost half of the premium from general and health insurance business in India comes from four large Public Sector General Insurance Companies and more than half from one single public sector life insurance company (LIC). The recent initiative of the government to merge the three worse halves (National Insurance Company, United Indian Insurance Company, and Oriental Insurance Company) to make one better half is one attempt towards providing them strategic direction. In this blog, I am going to discuss what went wrong with these PSUs and how they became the victim of resistance to change (Senge, 2014) and the way forward to become the better half. Indian PSUs lived on their today with forgone tomorrow and not able to adapt to global practices. For example, when a company is listed in NASDAQ, it has to comply with several rules particularly implementation risk governance and risk management at the holistic level. Implementation of Enterprise Risk Management (ERM) and risk governance takes years to set up infrastructure, create an eco-system for good risk culture and monitoring the risks. Indian PSUs, in general, face several challenges to follow these global practices due to lack of tone from the top. After decentralisation in 1997, PSUs had to work hard to remain their market share from aggressive private sector market players. The race of cut-throat competition looks never ending in which PSU adopted a defensive approach. The PSUs senior executives were busy in expansion or retention of market share and others in managing the business operations. Practically, the issue was who has time for risk management in growth-oriented markets. In fact, if the government want them to follow risk management, PSUs need time for reflection and practice. If PSUs even accept that implementation of risk governance and risk management is important to maintain their global position and part of the requirement to maintain legitimacy in the international market, who will help them. The PSUs in last few years attempted to execute ERM with the support of some market consultants but found the issues of inadequate coaching, guidance, and support. PSUs are unaware of the benefits of these global practices due to lack of exposure. Senior executives ask these questions: What I will achieve if I implement risk governance in five years? They are also unaware about why new efforts and learning capabilities are relevant for their business goals. In fact, they face several challenges related to fear, anxiety or concerns for exposure what if the implementation of ERM does not derive any value? This challenge is more related to the negative assessment of the problem. PSUs are facing the challenge of overwork. Before decentralisation of 1997, the employees used to work with comfort (10 am to 5 pm) and after entry of private players in the insurance industry, the work pressure suddenly starts percolating. Executives are working day and night with no great appreciation and still called as worse half. New recruitments have been stopped and with under-staffed and over worked departments, the executives are responsible for not only to regain the market position but also to compete in the global market. How is it possible? On the top of that, now the new expectation of adapting ERM and risk governance. Who has time for this stuff? They have the right way but nobody understands them, they have given their whole life for the development of the company but not instead of recognition, the divestment is the worst idea. PSUs arguments are based on the premise that okay if world’s top 50 insurance companies are implementing ERM and so we should also implement it. Tell us how they have done it. Why we keep reinventing the same wheel which has been discovered by so many organisations ignoring the current research. A research from Harvard says that there is no one way to implement risk management in an organisation, it depends on the context so it would be different for all organisation. ‘One size does not fit for all’ holds true in case of implementation of ERM (Mikes & Kaplan, 2015). What may work for PSUs? Certainly, PSUs need profound change to overcome many challenges they are facing to adopt global practices. Can a short-term training be helpful to PSUs in overcoming those challenges? Daniel H. Kim, co-founder of the MIT Center for Organisational Learning, found major limitation in the way traditional companies think. His findings revealed that companies would like to mention individual factors critical to success which remain in isolation rather seeing them interrelated sets. For example, companies try to make top 10 risks list or critical factors hampering the achievement of organisational objectives without thinking the key ways in which the risks are related to each other. Then next issue is the companies want to set priorities. He found that list based approach has several problems such as ‘Divide and Conquer Strategy’ where the people do not consider important intersections among different factors. He believed that System thinking and organisation learning can put a theory in place how managerial action can resolve the problems. These learning can be put in PSUs in the current context. To improve PSUs current position, they can form a group along with private insurance companies to learn risk management at the industry level. My previous two blogs on ‘do Indian Insurance Market need a Professional CRO forum’ and ‘role of CRO Forum’ explain the concept in detail. Why is the change required? What went wrong? Who wants change to happen? What results are expected? How the change will happen and who will support it? Who will be involved and what is our personal contribution and gain? Peter Senge, Assistant Professor at MIT, believed that to make these learning efforts sustainable, the efforts should be so designed that each effort could learn from each other. A lesson from several kinds of literature for PSUs is: “Don’t try to learn in silos, learn together, learn from others and share learning. Start from small, create trust, set the example, understand interconnected issues, and then resolve critical issues. This way, PSUs can resolve many issues at one go”. In this blog, I indulge in a debate that who is the owner of risk – Is it CEO, CRO or different parties and how organisational risk is linked to society? Chief Executives such as CEO and CRO provide foundation to a firm’s sustainability with their generic, specific capabilities, expertise and leadership to control and administer resources in current dynamic business environment. Role of CEO and CRO in relation to risk have presented greater ambiguity in practice and questioned the existence of widespread myth “CRO is the owner of risk and is the ultimate risk manager of the company”. During practice, a CEO acts as a ‘Risk Manager’, ‘Decision maker’ and ‘Influence of risk culture’. To become a successful CEO, a CEO has to demonstrate his/her abilities to cope up with failures while gaining strategic leverage by exploiting opportunities. A CEO influences significantly the risk culture of an organisation. Consider an organisation with Japanese, Chinese, British or American CEO, you may imagine the difference in culture as different expectations are set. A CEO style should complement with Company’s culture. If a company is relationship focused, and believes in shared decision making, its CEO should promote collaborative efforts. Another CEO may bring a ‘PUSH-PUSH BACK’ culture by enforcing rules without understanding the difficulties of ground staff. Many of us in our daily life struggle with understanding of risks. A well-known risk among our community is easily understood by all of us because potential negative consequences are obvious to us. We also support that the risk which have potential low uncertainty, can be called simple risks. There is hardly any issues in understanding such kind of risk. For example construction of a road, driving a motor vehicle. Also for these risk statistics for long timeframe is available such as some accident in last 50 years in particular region. Based on this understanding, we can drive conclusions very easily such as State A is more accident prone than B. But what if risk is not simple, it is rather complex. A complex risk is commonly understood as the risk which is not simple risk. Think if same risk is understood differently by many people who lead to many interpretation. It may be called situation of ambiguity where no conclusion can be drawn. Will you call it simple risk? Professor Otwin Renn defined ambiguity arise when there is an existence of multiple values. So, if a same building is inspected by three engineers and all of them provided different risk ranking such as low risk, medium risk and high risk. How conclusions can be drawn about the risk profile of the building. It can be said that there is difficulty in understanding the risk of this particular building. Another situation where a single risk may affect a large population. It generally comes to the mind that it may be some natural disaster such earthquake or flood. What if two different risks occur separately such as default of securities and natural disaster but with no interaction. The effects will be severe in each case. If interaction between two or more risk affects the large society and risk is embedded for long time so it is difficult to find how risk originates and who is responsible for this. This is certainly called a complex risk with ambiguity. Such type of risk is known as Systemic risk (don’t get confused with Systematic risk). Therefore, there is a greater need to understand our own risk, risks where we work and in our societies. A deeper understanding of risk can untangle the complex bunch of interconnected risks and simplify our problems. Owner of my own Risk – Me or others ? When an individual see the Risk – it looks 4 letter words. It is well said “This will not happen to me”, it is unusual not to avoid it. Actually what is the risk? It is a threat, loss of opportunity, unexpected happening of loss. Who is the owner of the risk – individuals themselves? It is the duty of risk owner is to prevent, reduce, transfer and control the risk. Corporates also own the risk; risk manager owns the risk of each department. He/she may set procedures/systems to prevent/reduce the risk, he may transfer the risk to the insurance companies. Insurance companies owns the risk of various corporates and individuals but here the system works little different. Although insurance companies manage the risk however the risk lies in the hands of insured, It is also in the hand of GOD which can be seen any time in floods, earthquake. Its invisible based on set of calculations and predictions. These insurance companies retain certain part of the risk in their hand and transfer the risk to the Reinsurance companies. Now situation changes dramatically – Reinsurance companies accepts the risk of same individuals/corporates from Insurance companies without knowing who actually they are, only based on set of terms and conditions and documentation submitted by insurance companies. The ownership of the risk is still in the hands of insured. In show business, it is easy to save humankind from catastrophe by James Bond. He can avert nuclear disasters, stop tsunamis and change course of meteorites. The real life is different. Catastrophe means loss to people, society and economy. The biggest challenge today to the insurance companies is not mere fraud risk, low reserves or depression of the economy – it is the risk arising out of catastrophes, which can severely affect their solvency position. In last 10 years, catastrophes like 9/11 attacks on WTC, hurricane Andrew, Katrina and Wilma have shaken the reserve and stability of the insurance industry in United States. According to Swiss-Re, a leading reinsurance firm, year 2011 witnessed losses from catastrophes totalled $35.9 billion, greatly surpassing the average of $23.8 billion for the years 2000 to 2010. The insurance company solvency is endangered, when losses increase up to a substantial level – to safeguard either insurance company has to raise the premium or its reserves will be gobbled up by single big catastrophe. In past 36 years, catastrophic losses have hit the insurance companies’ very hard and resulted in insolvencies of small and large insurers (Stipp, 1997; Swiss Re, 2000; Mills et al., 2001). Between the year 1969 and 1998, nearly 650 U.S. insurers became insolvent (Matthews et al., 1999). According to Guy Carpenter (2007), if one considers the 20 most costly insured catastrophes that occurred in the world (1970–2006) – half of them happened in the United States. Thus, it does not come as a surprise that the Gulf of Mexico has become a world peak zone for the insurability challenge. Insurers use many tools for reducing their financial vulnerability to losses (Mooney, 1998; Berz, 1999; Bruce et al., 1999; Unnewehr, 1999; III, 2000). These tools include raising prices, nonrenewal of existing policies, cessation of writing new policies, limiting maximum losses claimable, paying for the depreciated value of damaged property, non-actuarially based discounts instead of new-replacement value, or raising deductibles, better pricing & claim handling (Dlugolecki et al., 1996 & Born et al.,2006 ). The catastrophe events will also effect insurer’s pricing policies, shift the default risk indicator and change the risk assessment methods. Sometimes, insurance firms also face regulatory intervention to reduce insolvencies (eg: Solvency II, SOX). Currently, few Insurance firms hedge their portfolio by catastrophe risk financing by going into equity market. Catastrophe risk securities are of two types – catastrophe bonds (CAT bonds) and catastrophe insurance options. Both types benefit insurers by making money available to offset catastrophic losses. Insurance companies issue CAT bonds to transfer extreme losses from natural catastrophes such as windstorm, earthquake and floods. Property and casualty insurers typically develop catastrophe risk management strategies that combine determination of risk appetite, measurement of exposures, pricing considerations, processes to limit exposure and utilization of reinsurance or capital markets to transfer risk to third parties. Due to massive increase in insured losses from natural catastrophe, catastrophe bonds (CAT bonds) played a vital role in increasing the underwriting capacity and reducing probability of default for the insurance companies. There is a wider chance that insurance companies who use securitization methods will be able to reduce or completely avoid the default risk. There are many similarities between James Bond and CAT bonds. Like James Bond, CAT bond is the hero of Insurance and reinsurance world to save average person from natural catastrophes losses like flood, storms and typhoons etc. James bond will complete his mission by using modern gadgets; CAT bond use advanced equity market financial tools to get success. No doubt, the CAT bond is James Bond of financial world. But ofcourse nobody entertains the way James Bond 007 does. 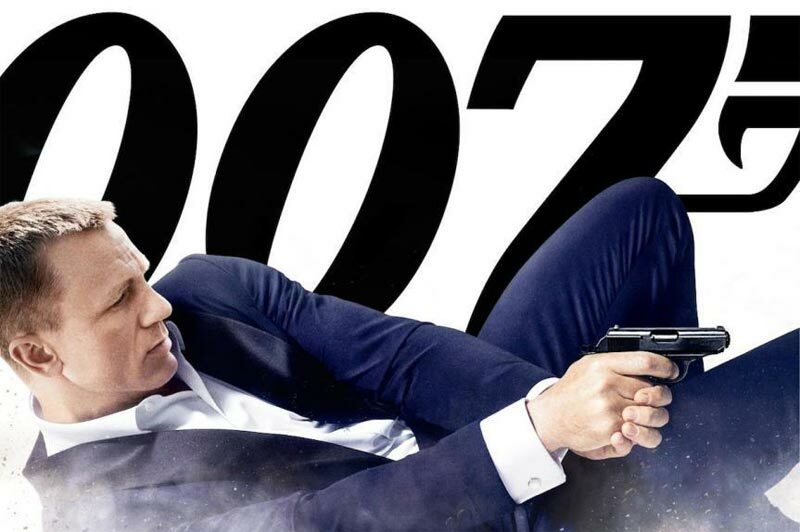 Like you I am eagerly waiting for the new movie Skyfall. Comments welcome ! 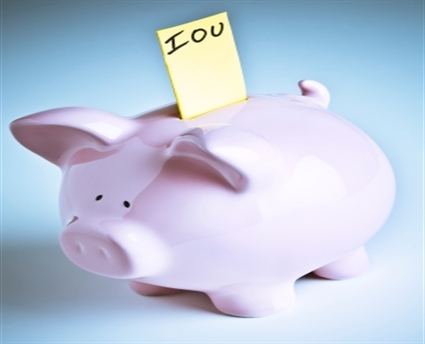 Interest rate is the amount payable to creditor by the debtor for the use of money for the certain period or the money earned by an investor on a debt instrument for specific time. Here creditor is the person who gives the loan or makes investment in a debt instrument while debtor is a person who takes the loan or an institution who float a debt instrument like debentures, debt securities etc. Interest rate is very widely used terms and it is not only charged only for loans but also charged for mortgages, credit cards and unpaid bills. Interest rate is dependent upon the amount of loan, duration, financial position on debtor, type of loan (e.g. : secured/unsecured), economic condition of the country and the economic policy of the country. It is very simple to understand such as a person takes a home loan for 8% interest rate or 18% interest rate, in first condition he will be able to repay the loan very early than the second condition assuming the EMI (every monthly instalment) in both the conditions are the same. Interest rate can be expressed in monthly, quarterly, half-yearly and annual rate which is sometimes described as mode of payment for annual interest payments. For example: 18% annual interest rate can be paid through different mode of payment – monthly 1.5%, quarterly 4.5%, half-yearly 9% and annually 18% at one time. Notes: With the simple interest, my worth would have been just 1000*.05*3 = $1150, therefore I gained $7.62 more due to compound interest. How interest rates are decided in different countries? Why interest rates are different in different banks, different types of loans? Why Credit cards charge very heavy interest rates like 35% or 40%? How Interest rates are linked with country economy – what will happen if it will go too up or too low?